A week or so ago, the NHL announced the finalists for the Ted Lindsay award. This year the nominees are Corey Perry, Steven Stamkos and Daniel Sedin- all worthy candidates, for sure. In any event, all three are outstanding players, as you would expect when you are nominated for a prestigious award. But for those of us who appreciate the history of the game, the fact that the award is named after one of the game’s all-time great players and, as importantly, ambassadors, means a lot. I’ve posted on Lindsay a couple of times in the past so I won’t go into great detail here. But he was, in his prime with the Red Wings in the early and mid-1950s, a one-of-a-kind hockey warrior. Small but oh so tough—and dirty, too. Lindsay's (see the great old photo at right from his late-'50s playing days with the Wings) battles with long-time Montreal great "Rocket" Richard were legendary. My Dad spoke often about how much Lindsay and Richard hated one another. It made for a remarkable rivalry. If you have a moment, you can read my earlier posts on Lindsay (an interview from 1978) here and here. 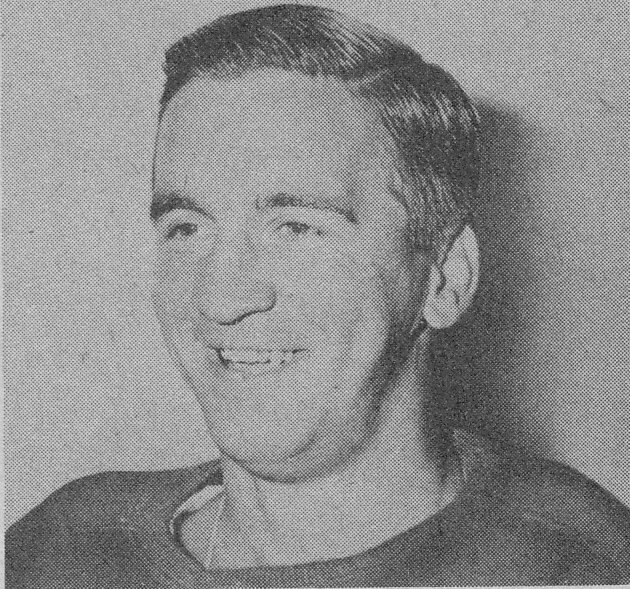 I only, personally, saw Lindsay a bit in the late '50s with the Blackhawks, though he retired before they won the Cup in 1961. He did made a spirited comeback during the 1964-'65 season with his old team, the Wings, and had a tremendous season. I remember that year, and his comeback story, very well- and fondly. He was- and is -one of hockey’s great men. For everyone who cares, this should be bigger than the Hart Memorial. I think it's a bigger feat to be voted the best by your peers than by journalists who may, or may not, understand the heart of the game. Thank you for this article, it was a gem to read.